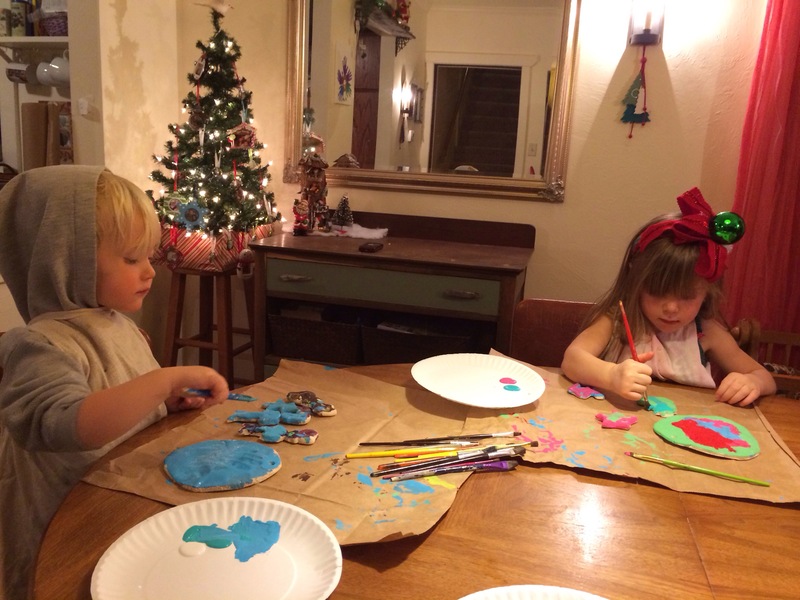 We painted ornaments tonight. 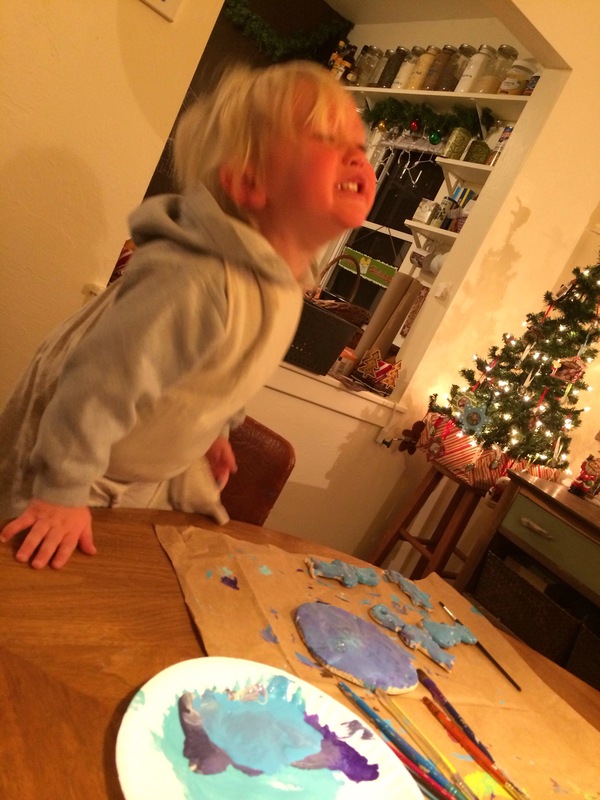 This is how the peaceful painting project began. This is how it ended. Knead for 15 minutes. Roll out to desired thickness. (We did about 1/2inch). Cut shapes with cookie cutters. Poke a hole near the top with a straw. Bake on a slightly greased pan for 45mins-50mins on 300*. When cool, paint with acrylic craft paint.